It’s keychain-ready. It’s multi-function. 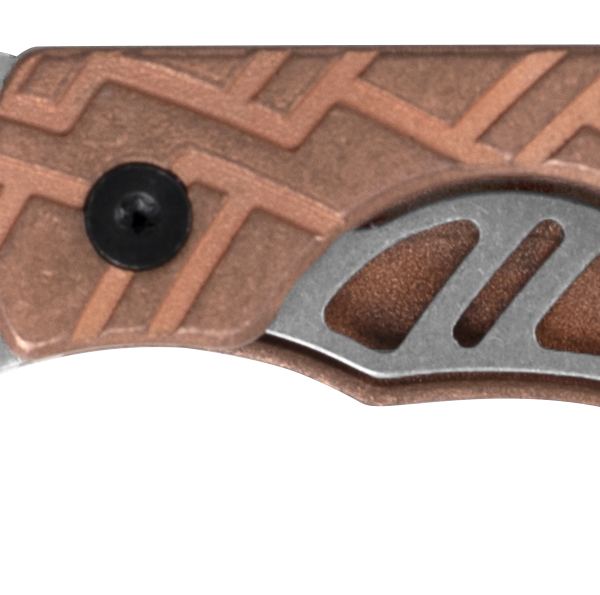 It’s not at all “scary.” And now it comes with good-looking, textured copper handles. 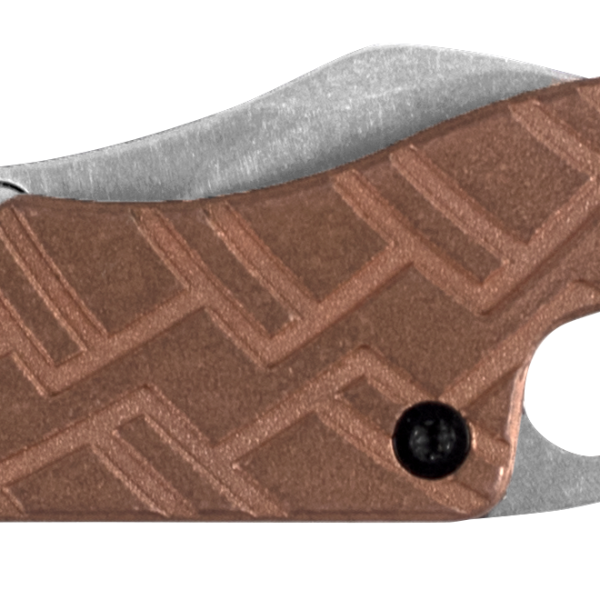 Copper handle scales give the Cinder a fresh look. While copper is heftier than stainless steel or glass-filled nylon, because the Cinder is so small, the extra weight is hardly noticeable. In fact, it weighs only about a half-ounce more than the original. You’ll especially enjoy watching the handle develop an attractive patina over time.